Tarifa is the southern most point in Europe. For years it's known as the wind capital of Europe, because there are so many days with wind. North Africa can be easily seen at only 13km away. If you are the adventurous type, love water sports, or maybe are interested in those frequent trips to Morocco while you learn Spanish in Tarifa, it's all near by. Once Tarifa was a military fortress. Now Tarifa is a remote fishing town. For accomodation there's allot of choice and as it had become such a populair place for watersports enthusiasts there is food and accomodation for andy taste and budget. Tarifa is lying at the meeting point of the Mediterranean and Atlantic seas. 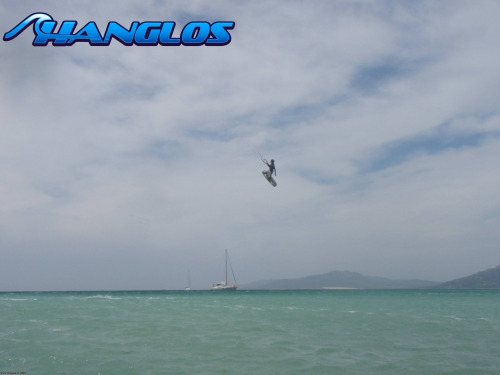 Therefore Tarifa experiences some of the strongest and most reliable winds all year long. In Tarifa you will find allot of hotels in all differnt price classes. In an avarage hotel a single room will cost you something like 35euro and a double room 85euro. Climate, weather: 14ºC - 20ºC (61ºF - 69ºF) from October to March spring-like with occasional showers in the winter, 24ºC - 26ºC (75ºF -85ºF) from April to September comfortable and dry in the summer. Tarifa is famous for the winds that blow from the strait of Gibraltar. Tarifa is one of the most populair kitesurflocations in the world. Allot of pro's go here to practise. Every year the PKRA event takes place in Tarifa. On a bussy day there can be thousant kites on the beach. Therefore its important to take notice of the locas beach rules and respect these rules. The water gets warmer in the summer. You only need a boardshort or a shortie wetsuit. In the winter you will need a full suit because it is much cooler. Tarifa is lying at the meeting point of the Mediterranean and Atlantic seas. Therefore Tarifa experiences some of the strongest and most reliable winds all year long. The cross-onshere wind from the rigt is known as the 'Poniente' and the cross-offshore wind from the left as the 'Levante'. This summer wind comes from the west and is uper consistent and brings nice weather to Tarifa. This wind can stay for weeks. This wind comes from the east and is generally cross-off from the main beach. This wind is gusty and can be super strong. This wind comes in for three to four days. 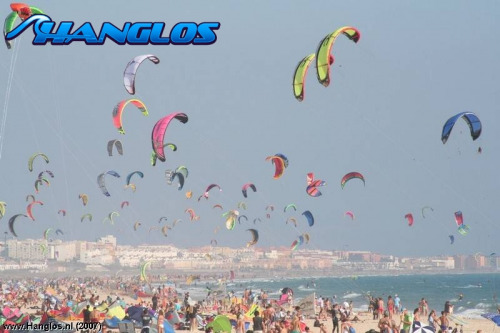 In Tarifa you can find over twenty kite shops and fourty industry related businesses operating in one of the most bussiest streets in the new part of Tarifa. In Tarifa are allot of schools, kitesurf shops and repair possibilies. If the wind gets too strong or offshore you can go to one of the many other beaches (by car). West of Tarifa the beaches to go are Canos de Meca, Bolonia, Punta Paloma, Las Dunas, Valdevaqueros, Torre de la Pena, Hotel Hurricane, Arte Vida, Los Lances, Rio Jara, La Charca and Campo de futbol. East of Tarifa the beaches are La Caleta, KM90, Getares, Palmones and Sotogrande. Each beach has different conditions (wind, water etc.). There is even a huge lagoon (La Charca) in the dunes of the main beach. 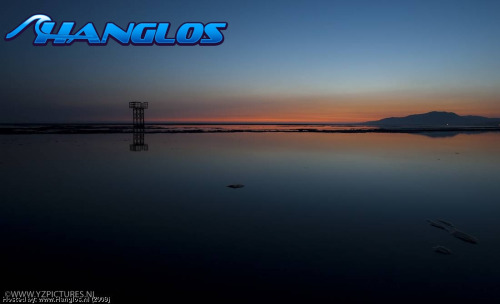 This lagoon fills when the river's in full flow and a high tide holds the water back for a couple of hours. You only need to go early before it is over crowded and before the water floats back into the sea.